We believe in bold activism and fearlessly demanding change when it is needed. Our founders created the Center specifically to exercise such decisive advocacy and that tradition continues today. We value activism that is proactive and sometimes (often) radical. We rely on facts and decades of experience working in our community on behalf of women to inform our viewpoints. We often collaborate with community, regional, and state partners to increase awareness about broader issues of reproductive justice such as health care access, fair wages and economic security, and civil rights. We work with and support national partners to ensure that our independent and unique perspective is represented in Washington, DC. We strongly advocate ending Maine’s discriminatory ban on public funding of abortion in Maine’s Medicaid (MaineCare) program at the state level and in ending the Hyde Amendment at the federal level. We’re also a member of All Above All*, a nationwide coalition of organizations working to change this policy that is particularly harmful to women of color, poor women, and young women. In 2015, we proudly joined Maine’s other providers and the ACLU of Maine to sue the state to restore public funding of abortion care. Click here for updates on this lawsuit and our efforts to ensure all Maine people have access to abortion care. We are committed to ending abortion stigma. Abortion is a safe and common medical procedure that nearly one in three women in the U.S. will experience in her lifetime. Unfortunately, a culture of shame and secrecy has been built around women, creating barriers to our basic health care. By sharing our stories, we reduce the shame and stigma associated with abortion. 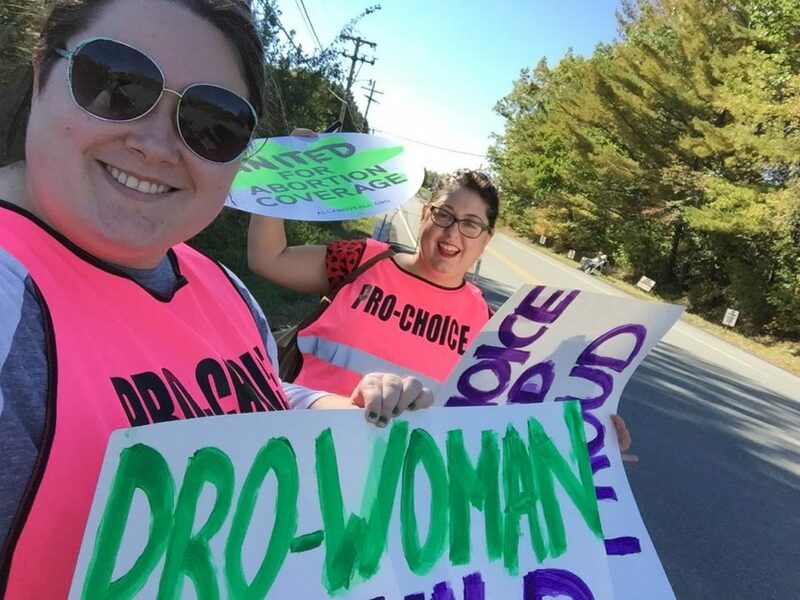 By raising our voices, and the voices of our clients, we aim to shift the dialogue around reproductive rights and women’s bodies here in our community, in Maine, and across the nation. Learn more about our Mabel’s Voices Project. If you are inspired by our advocacy work, check out our Get Involved page and learn how to support our work! Stay informed by joining our email list, sign up below.